From the back cover: A trait of a great artist is versatility; and Caterina Valente is one of the most versatile performers of our time. 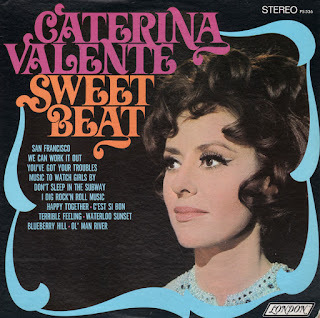 Italian, French, Spanish and English are second nature to her, her repertoire of music knows no limit. 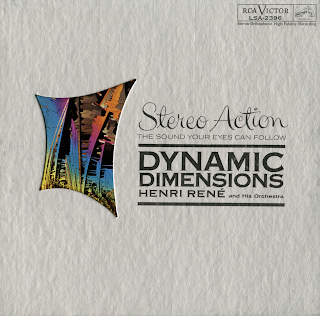 From the inside sleeve: Not only is this the first Stereo Action album for Henri Rene, but it is also the first Stereo Action project recorded in RCA Victor's newest and most up-to-date recording studio: Studio C in New York City. 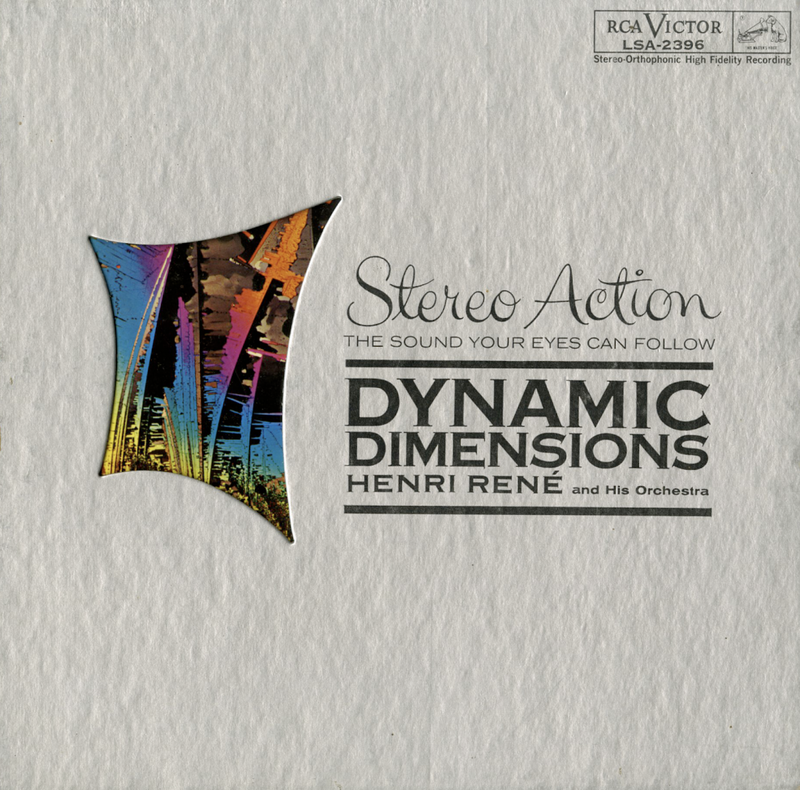 This is truly a Stereo Action studio in the most literal sense. 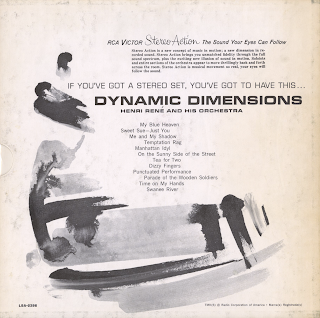 Certainly, no recording studio in the world can more fully handle the technical needs of RCA's new sound-in-motion recording technique. Right at his finger tips, engineer Bob Simpson has full control of a massive three-track mixing panel, containing twelve microphone inputs that can be switched into any channel of the Ampex 300-3 three channel tape recorders at will. An additional fourth channel is incorporated into the mixing console to handle the unique sound-in-motion, moving pickup of Stereo Action. "C" can accommodate, within its physical environment, any spatial requirement call for by the arranger.